Home Minister Rajnath Singh on Wednesday held meeting with High Commissioner of India to Pakistan Ajay Bisaria, along with a series of other high level meetings against Pakistan. 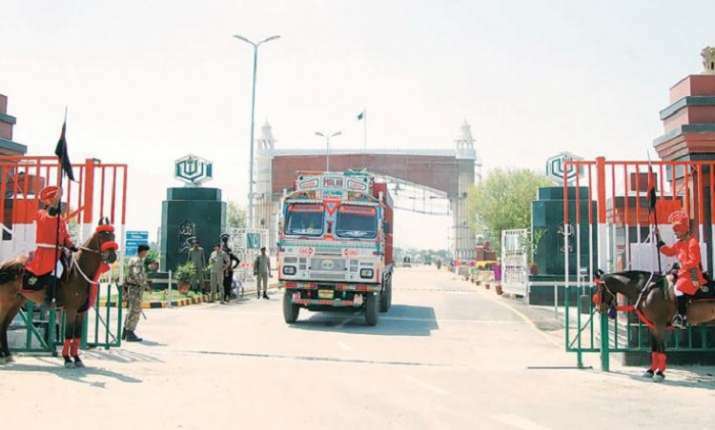 After withdrawing the 'Most Favoured Nation' granted to Pakistan in the aftermath of the deadly Pulwama terror attack in Jammu and Kashmir, the government has now halted trucks carrying cement from Pakistan at the Wagah border. Nearly 800 containers carrying Pakistan cement were halted at the Wagah border on Wednesday. A queue of similar trucks was witnessed at the Wagah-Attari border, while at least 800 containers were returned to Pakistan. The trucks were later seen at the ports of Karachi, Dubai and Colombo. Bisaria, in talks with media after the meet, said no investigations will be shared with Pakistan. Singh also met Indian Ambassador to US Harsh Vardhan Shringla. A day after the Pulwama terror attack that claimed the lives of over 40 CRPF jawans, Union Finance Minister Arun Jaitley announced that India has decided to withdraw the 'Most Favoured Nation' status granted to Pakistan. The finance minister had also said that the Ministry of External Affairs (MEA) will take all the necessary steps to isolate Pakistan completely in the international community.